Insurance companies are big business in Connecticut. Some of the nation’s leading insurance providers are based here in the state. Many people like to think their insurance company is looking out for their best interests. We want to believe if we have an accident, our insurance company will be there to help us get back on our feet. Unfortunately, that’s not always true. Instead, your insurance company might be more concerned with its bottom line. As a result, they will sometimes go to extreme lengths to avoid paying people injured in an auto accident. In some cases, your insurance company may be more concerned about the other driver in an auto accident. Now imagine your insurance company went to court and defended the other driver who caused the accident. Sounds crazy? Absolutely. But that’s exactly what one insurance company did after a driver killed a 24-year-old woman driving another car. The woman’s insurance company defended the other driver in court, even though the other driver had a suspended license. At the Law Offices of Mark E. Salomone & Morelli, a Connecticut auto accident attorney at our law firm can work with you if you’ve been injured in an auto accident. We know what’s legal or against the law in Connecticut. We also realize that no two accidents are the same. Every one is unique – just like you. That’s why we can work with you and design a strategy that fits your specific legal needs. Sometimes, you may need to file an auto accident lawsuit in Connecticut. We can help you sort through all your options. In the case of the 24-year-old woman who died in an auto accident, her insurance company initially didn’t want to pay her family the full amount. “I think they thought that we would just turn our tails down behind us and walk away,” the 24-year-old’s mother told The New York Times. The woman’s family took her insurance company to court and won. Taking on insurance companies in court can be a daunting task for many people. They don’t scare us. We’re prepared to do whatever it takes to get you the money you rightfully deserve. Contact a Connecticut auto accident lawyer who will fight for your rights. Contact the Law Offices of Mark E. Salomone & Morelli, 100 Farmington Avenue, Hartford, CT 06105. One false move can instantly lead to a serious, life-altering accident. What would you do if texting driver in Connecticut injured you? Who would you trust? You need an aggressive Connecticut texting accident lawyer on your side. You need the Law Offices of Mark E. Salomone & Morelli. Serving clients throughout Connecticut, an experienced Connecticut distracted driving attorney at our firm can give your case the attention it deserves. We regularly scour accident records, medical reports and other essential documents. We then use this information to build a rock-solid case with one goal in mind: to get you the maximum compensation you rightfully deserve. 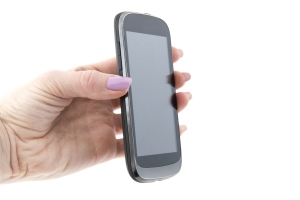 Contact a Connecticut texting accident attorney who will fight for your rights. Contact the Law Offices of Mark E. Salomone & Morelli. We mean business! On June 3, 2010, Connecticut Gov. Jodi Rell signed into law a bill that closes a loophole in the state’s regulations regarding cell phone usage while driving. The new law in no uncertain terms bans texting on a cell phone or other hand-held wireless devices while driving. However, “hands free” voice activated texting will still be allowed, along with hands-free cell phone usage in general. When the new law goes into effect on Oct. 1, it will clear up much confusion about whether or not texting is allowed while driving in Connecticut. The confusion came about because Connecticut is one of eight states nationwide that has already banned the use of hand-held cell phones while driving. Drivers must use a hands-free device while talking on a cell phone. But that law doesn’t specifically state that Connecticut drivers are prohibited from texting while driving. The new law also eliminates the one-time exemption that violators had been able to claim by submitting proof of purchase of a hands-free cell phone. Now, first time violators face a fine of $100. A second offense of texting while driving will cost you $150. All subsequent violations will each result in a $200 fine. Keeping up with the latest laws can be mind boggling. Knowing what’s legal or not can be confusing. We can help. Contact the Law Offices of Mark E. Salomone & Morelli. If you have been involved in a car accident involving a texting driver, we know how to navigate through the complex legal hurdles standing in your way for justice. Don’t let someone else’s reckless behavior ruin your life. Take action. Contact Mark E. Salomone & Morelli. We’re on your side. Driving while texting illegal in Connecticut? Are you safe? Texting while driving in Connecticut can be extremely dangerous. But is it illegal? Some people think texting while driving is illegal in Connecticut. They’re wrong. The confusion has come about because Connecticut is one of seven states nationwide that has already banned the use of handheld cell phones while driving. Drivers must use a hands-free device while talking on a cell phone. But that law doesn’t specifically state that Connecticut drivers are prohibited from texting while driving. That’s why Connecticut lawmakers are taking action. They’re trying to outlaw texting while driving across the state. The proposed law has the support of the Governor and many legislators. The new law would carry hefty fines for anyone who texts or uses a handheld phone while driving. But just because Connecticut may outlaw texting while driving and has already banned the use of handheld cell phones on the road does not guarantee that people will be safer. Many drivers still use cell phones illegally in Connecticut. So who knows if people will stop texting while driving even if it is illegal in Connecticut? We sure hope they do! Such activities distract drivers, making them unsafe at any speed. Distracted drivers often cause accidents. Sometimes, the injuries are minor. But other times, such accidents result in serious, life-altering injuries or even death. Accidents happen. Don’t become a victim. Take action. Contact the Law Offices of Mark E. Salomone and Morelli today. Our experienced lawyers will vigorously defend your rights and get you the compensation you are entitled to if you become a victim of a distracted driver. Don’t let someone else’s reckless behavior ruin your life. You deserve justice. We can help.